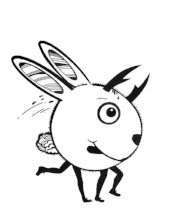 This year on September 21st, our K-5 students will participate in an emoji-style Fun Run with a great new design by Joel Nakamura (see below), while the Academy students will take part in the 2nd annual Zombie Run. This is a fine day for our school – a day of community spirit, healthy running and student-led fundraising for all the important school programs that the PTA helps to fund to keep our school strong. Your PE department and PTA are once again working to host the 2018 Fun Run-a-thon as our Fall fundraiser. We hope to continue building on the past few years of success. Our goal is to raise at least $18,000, and we know it can be done again with your support and enthusiasm! We have met goals in the past even with less than 50% of the student body participating. Imagine what we could do with even more participation! Students get a free t-shirt just for registering! Please encourage and help your kids register at www.thegetmovincrew.com. Between the kick-off and 9/28, students can collect pledges for their run. It’s super easy to register, send an email to family and friends and post to Facebook or other social media to request support! or sign up at the web site below if you can help. Thank-you! K-2 School-day run: Friday, 9/21 8:30am: Here’s My Run Face, What’s Yours? 3-5 School-day run: Friday, 9/21 10am: Here’s My Run Face, What’s Yours? For info about our very successful 2017 Fun Run-a-thon!